You are trapped in a room. How do you get out ? one on each side of the room. One door opens to a fire breathing dragon that will burn anything that enter his room. 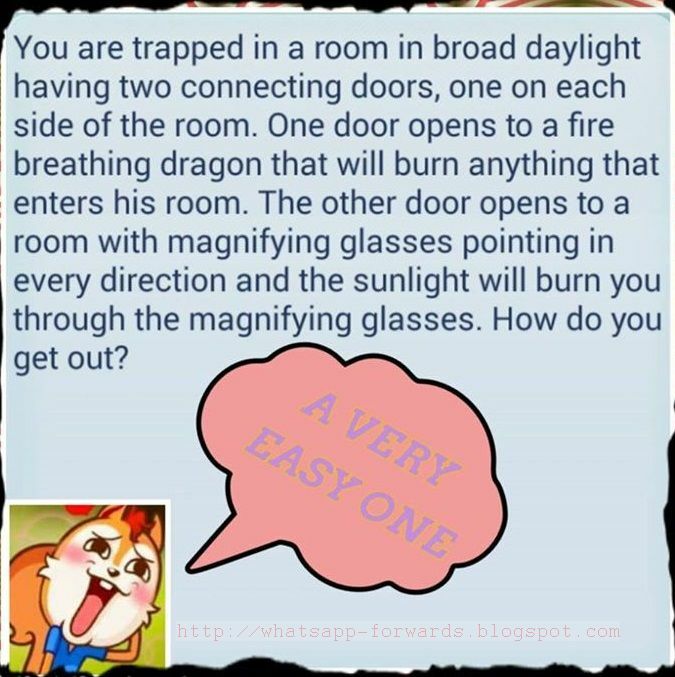 The Other door opens to a room with magnifying glasses pointing in every direction and the sunlight will burn you through the magnifying glasses. How do you get out ? Wait for the sun-set and then go thru the magnifying glasses room.